The overwhelming response to the bid by Vermont Senator Bernie Sanders for the Democratic presidential nomination suggests the potential for dissident candidacies that challenge the political, social, and economic status quo. Yet Sanders is the first to admit that he is making an uphill run against the party establishment. If the branches of the status quo within the two major parties manage to nominate Republican Jeb Bush and Democrat Hillary Clinton next year, a third-party bid by Stein could attract significant support. The question is whether Stein, who this week formally launched her second presidential bid, will gain the hearing that is necessary to realize that potential. That is far from guaranteed, because the status quo polices presidential campaigns in order to maintain itself. That policing begins with ballot-access demands that make it hard for millions of American voters to have the multi-party choices that are available to voters in Germany, Japan, France, Britain, Canada, and every other credible democracy. 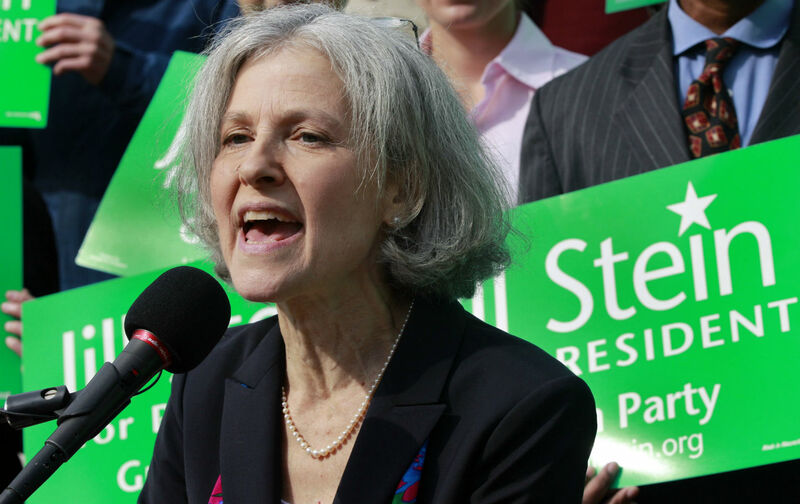 Even if Stein and the Greens secure every available ballot line—and they have a smart, ambitious plan for busting through the barriers—that still does not guarantee that she will be heard. THE NATION IS READER FUNDED. YOUR SUPPORT IS VITAL TO OUR WORK. This is because the status quo polices the political discourse via the Commission on Presidential Debates (CPD), a vehicle constructed by the two major parties to maintain their duopoly. In 2012, Stein and Green vice-presidential candidate Cheri Honkala were arrested for trying to enter a presidential debate sponsored by the CPD. This year, Stein is starting early by joining other third-party contenders who have been excluded from CPD debates as plaintiffs in a historic legal challenge to the commission’s practices. Filed by the group Our American Initiative, the lawsuit seeks to open up the 2016 debates to alternative candidates and alternative views. But for minor parties to become major parties, and for new ideas to enter the mainstream discourse, the political process must be more open, flexible, and free. Americans of every partisanship and ideology must support open debates. Like initiatives to protect voting rights and limit the influence of big money, efforts to assure that voters have access to diverse choices and a robust discourse are not just about the mechanics of election campaigns. They are essential to establishing vital and meaningful democracy.